What’s Coming up in November? Blockshow and SmartMesh’s ICO Are on Their Way! With its founder invited as a keynote speaker,SmartMeshwill commence its ICO during Blockshow on 29thNovember in Singapore. One of the unique features of the SmartMesh protocol is that it can offer communication and payment serviceswithout the Internet. The investors who are interested in next generation network, off-internet payment and IoT are eagerly waiting for November as SmartMesh, the global mesh network builder announces its ICO crowdsale. With this ICO, the company seems to be fully prepared to connect those 4 billion people unconnected. SmartMesh offers users mesh network, a supplement to traditional internet and ISPs. The participants in the network are able to earn compensation by sharing their phones as relay nodes for people trying to transfer data. Additionally, according to Kevin Kelly in his new book,The Inevitable, mesh and the trend towards decentralized and ownerless network will continue unabated. And the ICO is only going to empower SmartMesh to realize this vision. 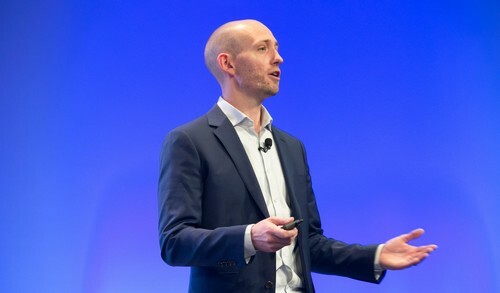 One of the unique features of this network is that it offers a substitute to traditional internet and ISPs and it could work independently of the state of infrastructure. The platform is based on mesh network protocol that works when many people share their phones as nodes. As a return of their sharing, they are entitled to earn compensation on the basis of the data packets transmitted. The traditional ISP and internet operate based on infrastructure, be it optical fiber, coaxial cable, routers, switches, or radio towers, there has to be an access point or uplink to transfer the data packets to the internet and thus people gain access. The model followed by SmartMesh is different where participants’ phones are the only infrastructure needed. This traditional model forces the internet users to pay for both connectivity and usage. On the other hand, SmartMesh participants charges people for usage only and the distance data packets have to travel is minimal so that usage and charges are minimal. In addition, local data transfers are done among people who would charge each other and the charges would simply cancel out, making local data essentially free. 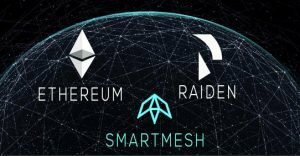 SmartMesh is the first company to successfully integrate crypto token incentive with mesh network. A mesh network works best when the node density reaches a certain level. Essentially, as more are motivated by SmartMesh tokens to join the mesh network, network services would become more reliable and cheaper. The fact that SmartMesh works even without traditional infrastructure makes it perfect for disaster rescue and relief. People buried under rubble could reach out with SmartMesh applications even if the telco towers are toppled. Similarly, regions with underdeveloped infrastructure would greatly benefit as well, thanks to cheap smart phones. The smart routing mechanism within the network also makes it desirable for crowded areas. Events such as musical festivals almost always result in poor reception for everyone. However, SmartMesh make telco towers further away join the network and burdens are automatically shared among them so everyone will have connection. In some offices, people would rather keep the communications private and secure. SmartMesh could facilitate that by easily constructing a local network so that no data packets would ever need to be uploaded to any device outside of the network. To make payment without internet work, SmartMesh has been working closely with Raiden Network. Raiden Network could not work without the internet, while SmartMesh’s Raiden extension can change that, and make mobile, off-internet micro payments possible. Just as Raiden takes transactions off-chain, SmartMesh would take them off-internet. The ICO in November will be offering 40 percent of the total shares. The raised funds will be used to enter new countries and markets, facilitate modification to phone chips and drivers, and to construct an ecosystem along with new industry standard for mobile mesh network. The tokens will be a utility token that could go up in value as more people joinSmartMeshnetwork.